PUNTA GORDA, Toledo District, Mon. Aug. 21, 2017–On Sunday the PUP held an internal convention at the St. Peter Claver primary school in Punta Gorda, Toledo, to select its mayoral and councilor candidates to head into the March 2018 municipal elections. A total of 531 votes were cast between 9 a.m. and 4 p.m. when polls opened and closed. The PUPs selected former Punta Gorda mayor and businessman, Carlos “Obeah” Galvez, to run again as mayor. He was victorious with 246 votes. In second place in the mayoral race was Gilbert Charles Selgado, with 191 votes. In the 1998 general elections he had offered himself as the standard bearer for the National Alliance for Belizean Rights (NABR). However, he lost to incumbent PUP area representative, Michael Espat. Additionally, in 2006, Selgado was the United Democratic Party (UDP) mayoral candidate who squared off against Carlos Galvez. However, Galvez defeated him in that election and went on to win another after that term. In third place for the PUP’s mayoral race was Joseph Enriquez Martinez. He was only able to garner 59 votes, while Maria Soraia Roches, the only woman who offered herself for the mayoral post, snatched 35 votes. The elected councilor candidates included Luana Hines, Arnold Williams, Malcolm Galvez, Roberto Vairez, Raimundo Noralez and Moses Cal. When Amandala spoke to Galvez, he commended his team. According to him, his team was well-structured and has the infusion of youth and seniority, as well as diversity. 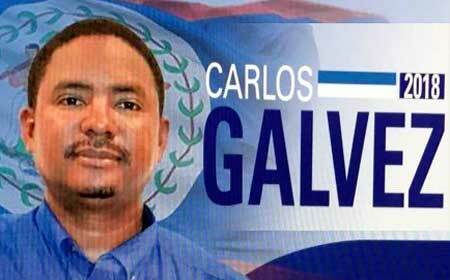 Galvez told us he was compelled to return into the political arena because his municipality has remained stagnant since the UDP took office. According to him, under his watch as mayor, the town was vibrant and active. There was a focus on sports, there was a focus on care for the elderly, there were infrastructural advances and the regulated collection of solid waste, among other initiatives. In the first hundred days as mayor, Galvez told us, he hopes to meet with residents of the municipality. Additionally, he hopes to conduct an audit of the council’s finances. According to him, those items are at the top of his agenda. While Galvez prepares to mount his campaign against the incumbent UDP council, it is certain that he will not face current UDP mayor, Fern Gutierrez. She will not be seeking reelection and will instead be removing herself from the political arena. With her exit, her deputy mayor Ashton McKenzie is seeking to replace her. However, he is set to face off with Franklin Christy Martinez, the nephew of UDP caretaker and former Toledo East area representative, Eden Martinez. However, sources close to the senior Martinez have indicated that he is in support of McKenzie as opposed to his own nephew in the convention scheduled for Sunday, October 1. 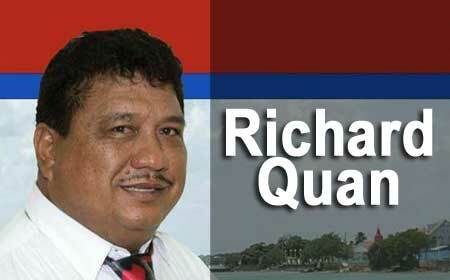 Like Fern Gutierrez, the incumbent UDP mayor in Corozal Town, Hilberto Campos, will not be seeking re-election. And so on Sunday, the UDPs in Corozal Town also conducted an internal convention to select the party’s mayoral candidate and councilors to face-off with the PUP’s endorsed mayoral candidate, Rigo Vellos. After the last votes were counted at the Corozal Civic Center, Richard Quan came out on top with 1274 votes, while Rafael Castillo got 375. Of the total 1661 ballots cast, 12 were rejected. Quan will be joined by councilor candidates: Melhem Williams, Nonita Ramirez, Benjamin Acosta, Sr., Rodolfo Riveroll and Juliet Marokin. Our newspaper could not reach the UDP elected mayoral candidate for comment, but we understand he was supported by UDP powerhouses in the north, while his opponent was supported by UDP powerhouses in Belize City. 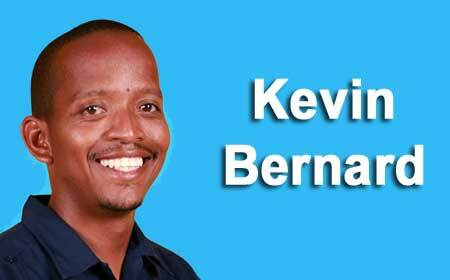 Also in the north, on Saturday night the PUPs of Orange Walk town endorsed the party’s incumbent mayoral candidate, Kevin Bernard. His team includes incumbent councilors Rozel Arana, Ian Cal, Josue Carballo, Ladrick Sheppard, Fernando Sanchez and Haresh Vaswani. Information to Amandala is that former UDP Orange Walk mayor, Philip De La Fuente, may also be endorsed by his party to challenge Bernard. He is the only aspirant UDP mayoral candidate to have already launched his campaign.